Money plays a huge part in any real estate transaction. Saving up for a downpayment. Appraisal. Home Inspection. Closing costs. 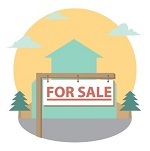 Even when keys exchange hands, the financial part of a home purchase doesn't end. Now, you have to worry about the move. 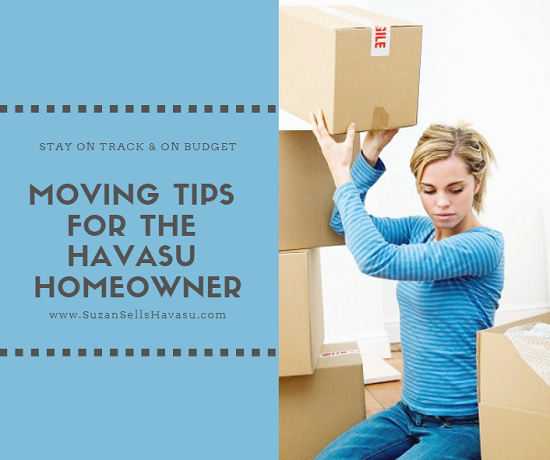 I've put together a list of some moving tips for Havasu homeowners that will help keep you on track and on budget when it's time to inhabit your new abode. Get Rid of All Your Extra "Stuff"
When you decide to put your Havasu home up for sale, you need to start decluttering. Decide which stuff you want to keep, what you can donate or sell, and which items you need to toss out in the trash. Start this process early so you won't feel overwhelmed. Tackle one room at a time. If you haven't used it in the last 12 months, get rid of it. Also, keep in mind. You're going to have to pack everything up eventually when you move. Doing it early prepares your property for viewing, makes it much more attractive to potential buyers, and checks off one more item on your "to do" list. Another one of my helpful moving tips is to avoid overspending on packing materials. The cost of these materials adds up quickly. Use bath and kitchen towels as well as blankets and sheets to wrap up your delicate, breakable items (dishes, glasses, china, etc.). Newspapers also make great cushions for fragile pieces. Don't be afraid to ask for used boxes at work, grocery stores, liquor stores or your friends and family. Visit your local recycling center to see if they have extra boxes you can take. The next one of my moving tips you might find handy is to do the moving yourself. Professional movers cost a lot of money. Asking friends and family for help to load and unload a rented moving truck costs much less. Make sure you "pay" them with food, drinks, and maybe a couple of babysitting sessions, yard work or pool cleaning. In-city moves are perfect opportunities to DIY it. However, if you have physical limitations or plan on moving out of the area, a professional moving service might be a better option. In that case, make sure you call around. Get quotes and several recommendations from each company you talk to before deciding who to hire. Then, ask them for proof of insurance to cover your possessions in case anything gets broken or lost along the way. I understand that we don't always have the option of when we move. For Lake Havasu home buyers, peak season comes in the spring. We don't want to move in the sweltering heat of summer if we can avoid it. That means our peak season is just around the corner. Moving truck rentals and even professional movers get booked up quickly. Start early and call around for the best rates. As with any type of budgeting, it's always a good idea to keep track of what you spend. This is especially true for a work-related move. Keep all receipts in a ledger or large envelope so that you have everything you need in one place when it comes time to be reimbursed from your company. If your employer doesn't pay for your moving expenses, your costs may be tax deductible when you file next year. Talk to your tax preparer about it when you do file. Do you have any moving tips you have found useful in the past? Please feel free to share them. All ideas are welcome.